Water play offers endless enjoyment to both adults and children of all ages, whether they are in a warm winter bath or a cool summer pool, kids love water play. 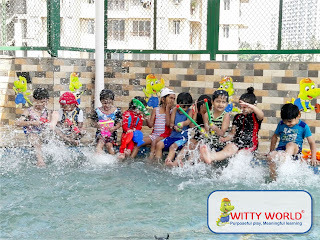 It's a different experience as children feel the water, hear the splashes and sprinklers, see the bubbles and waves. 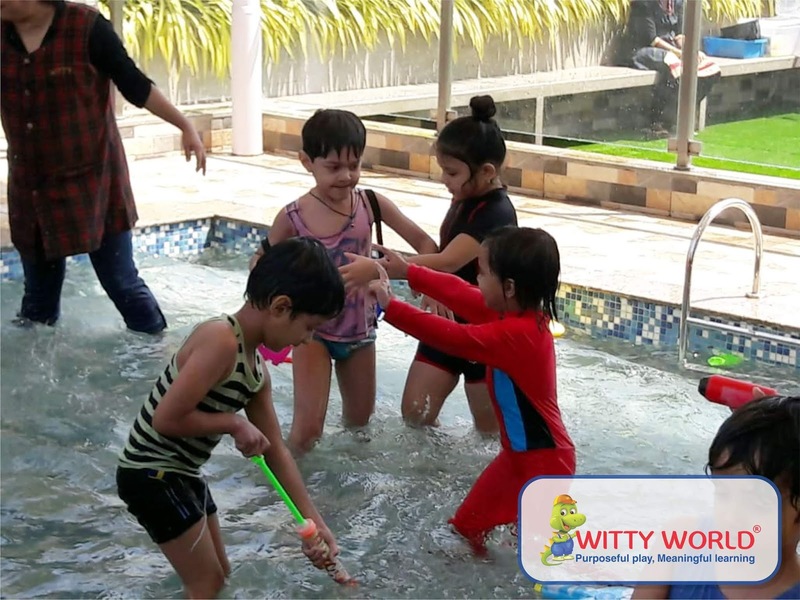 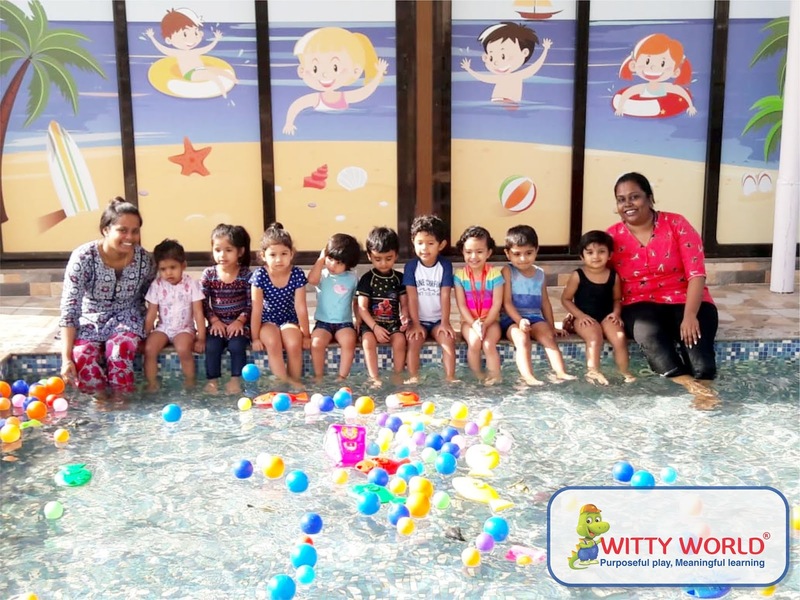 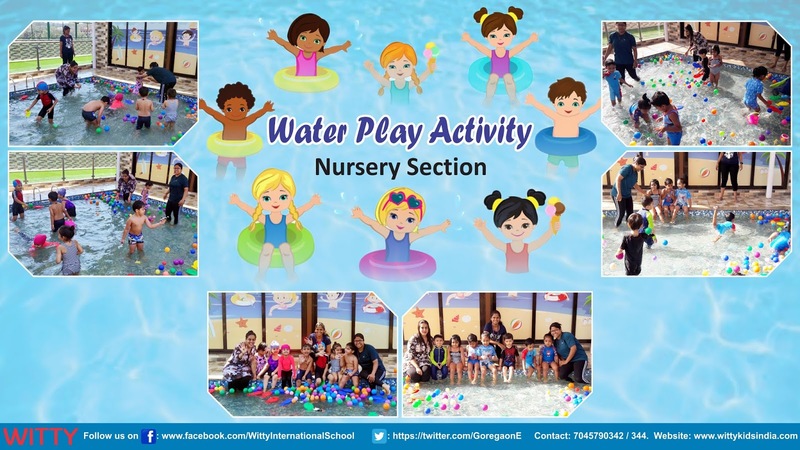 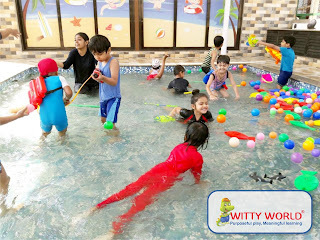 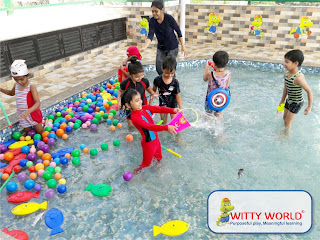 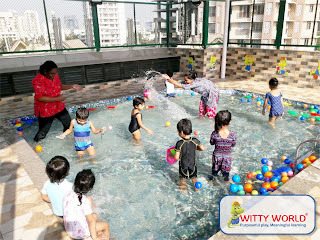 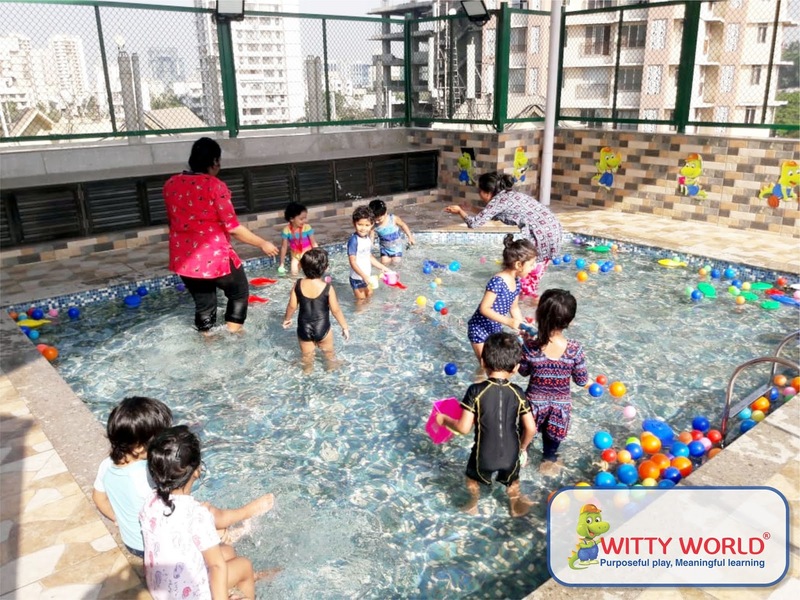 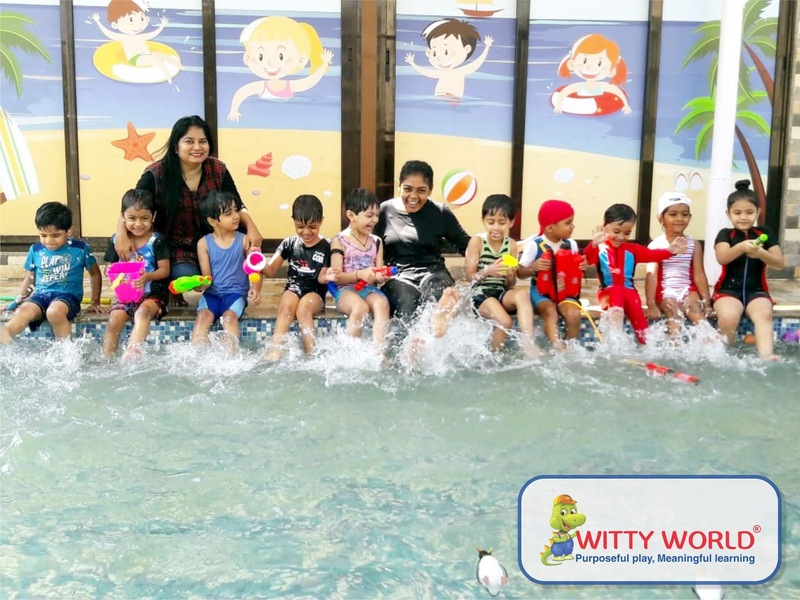 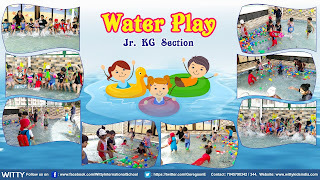 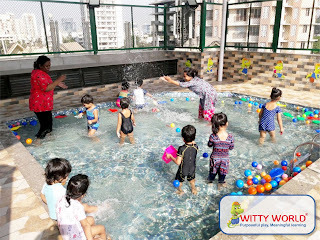 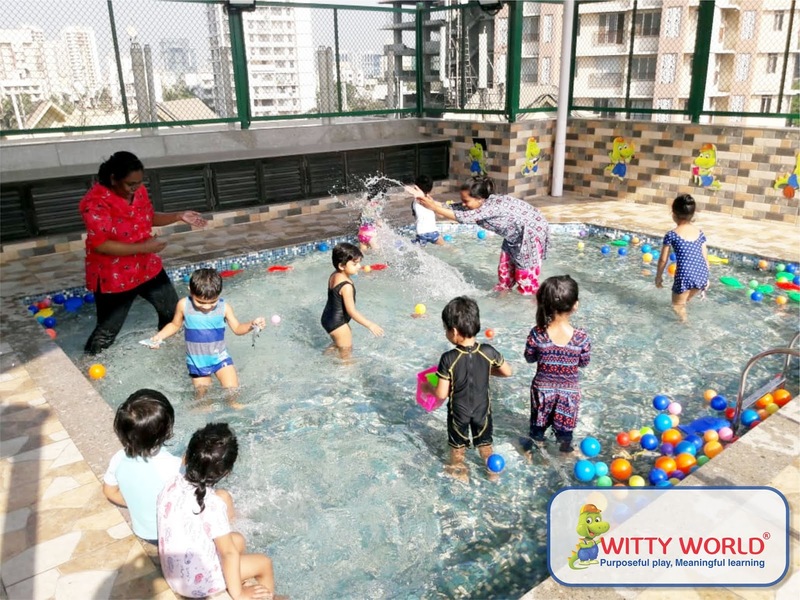 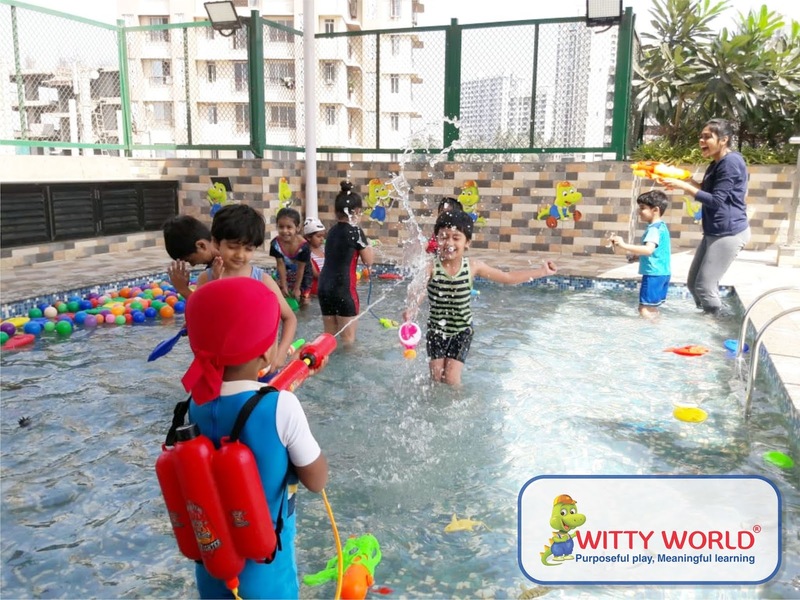 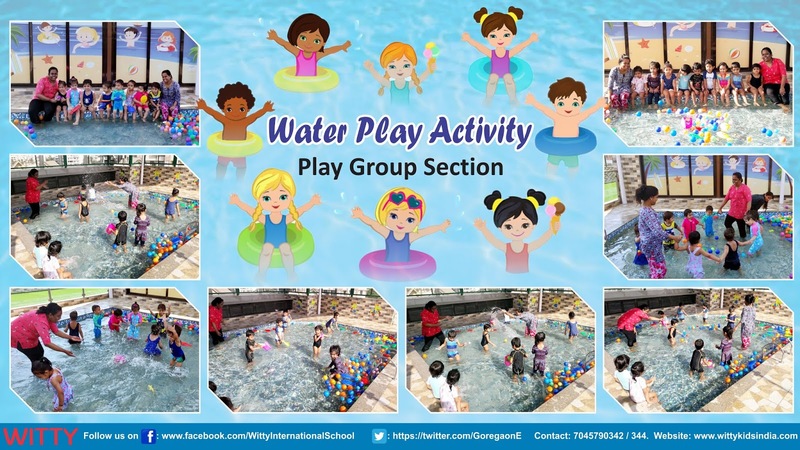 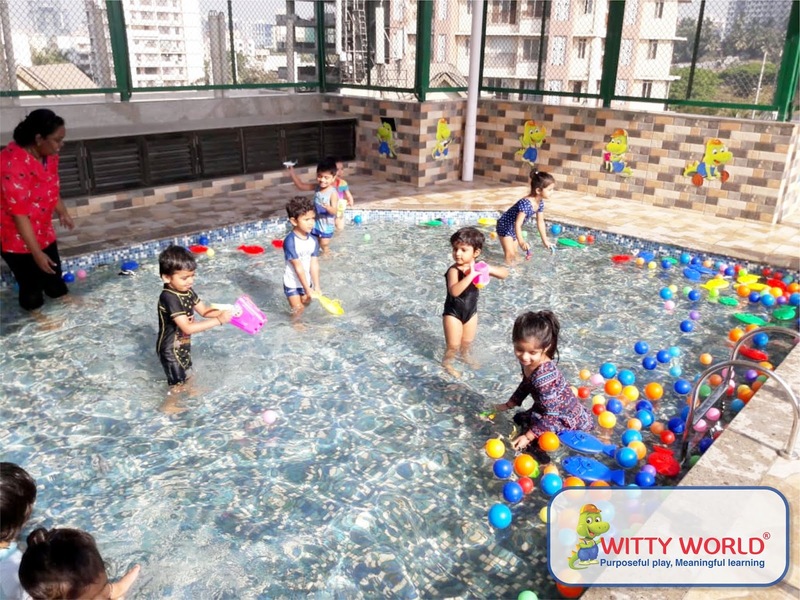 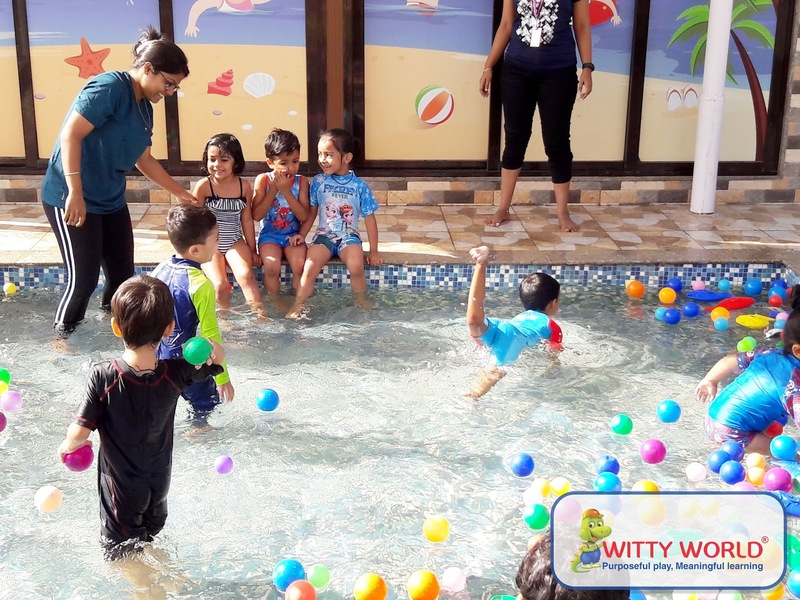 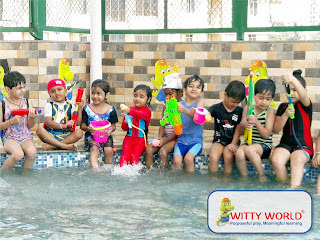 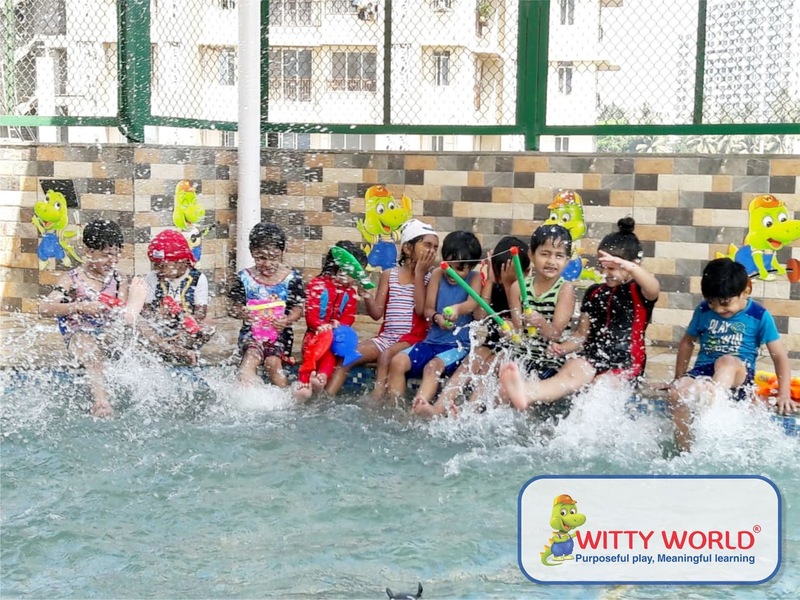 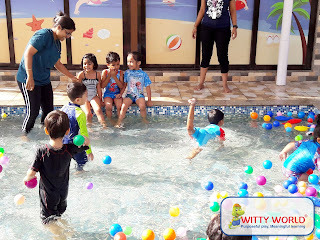 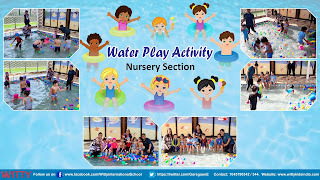 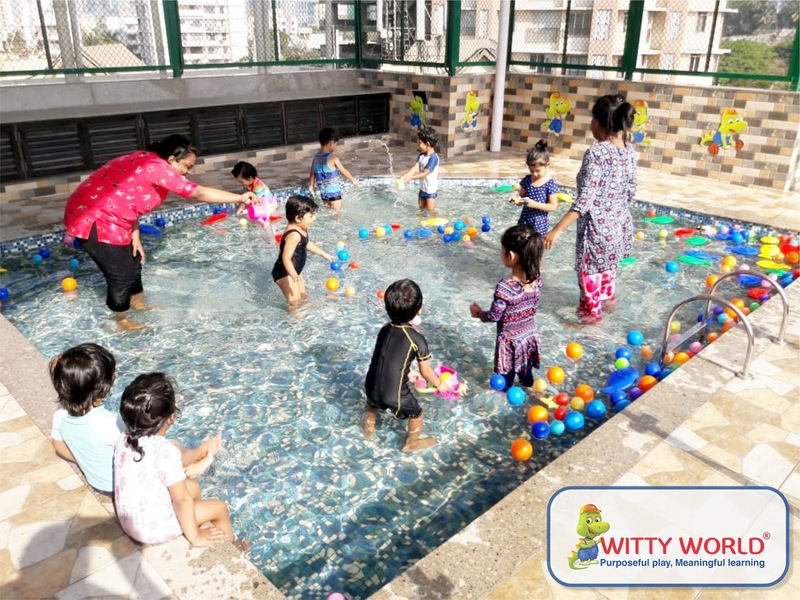 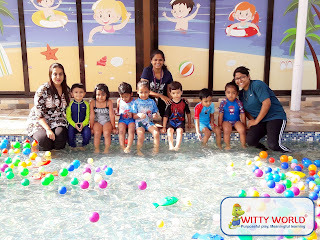 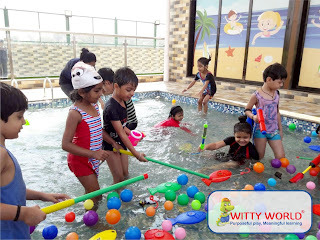 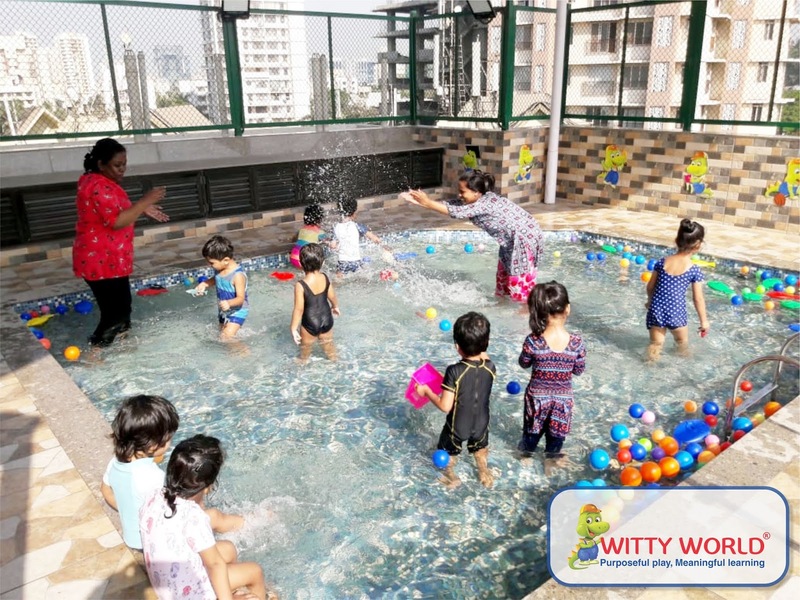 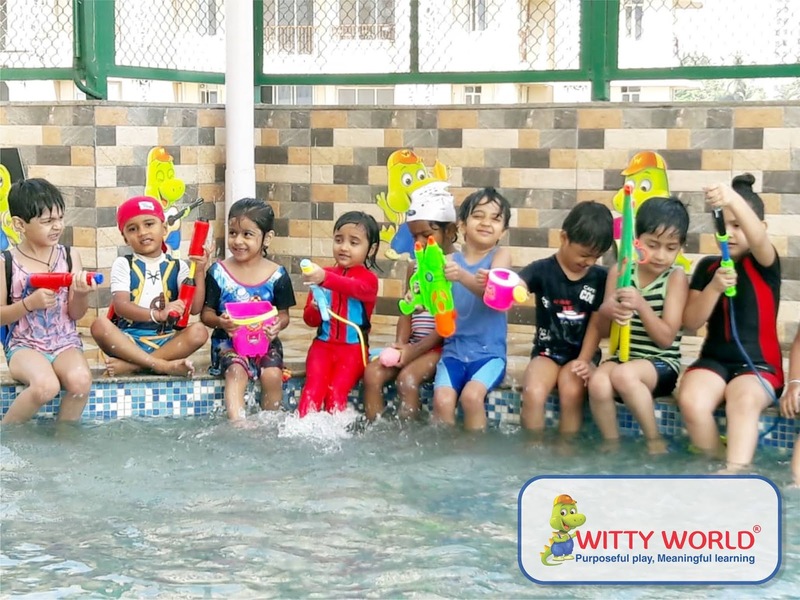 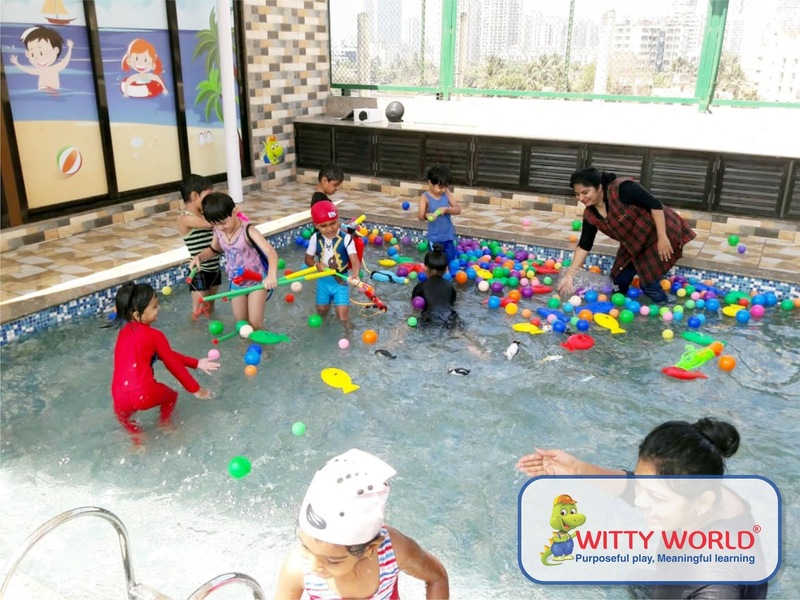 Witty World Goregaon East children of Pre – primary section were taken for water play to the in house splash pool. It was a pleasure to watch the little ones splashing and screaming. 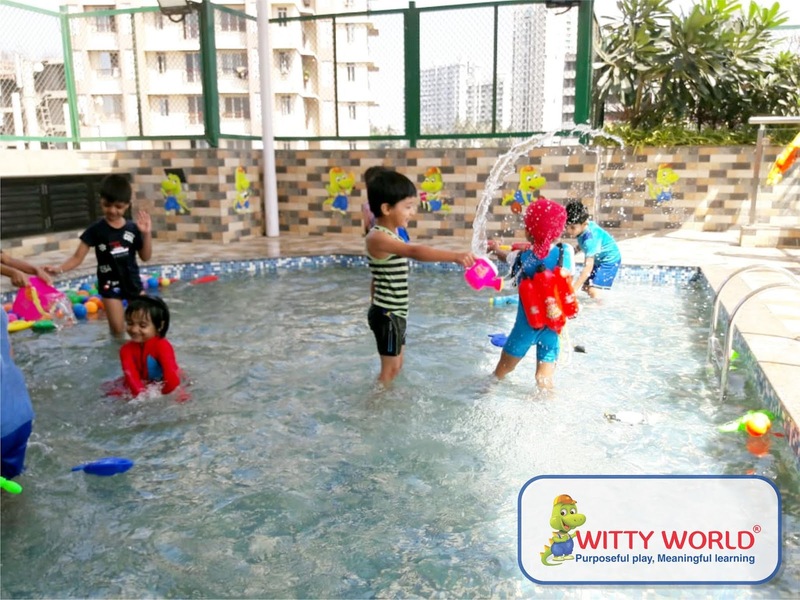 When children pour water, they are improving their physical dexterity and eye - hand coordination. At the same time, they use their mind as they explore why, certain objects sink and others float. 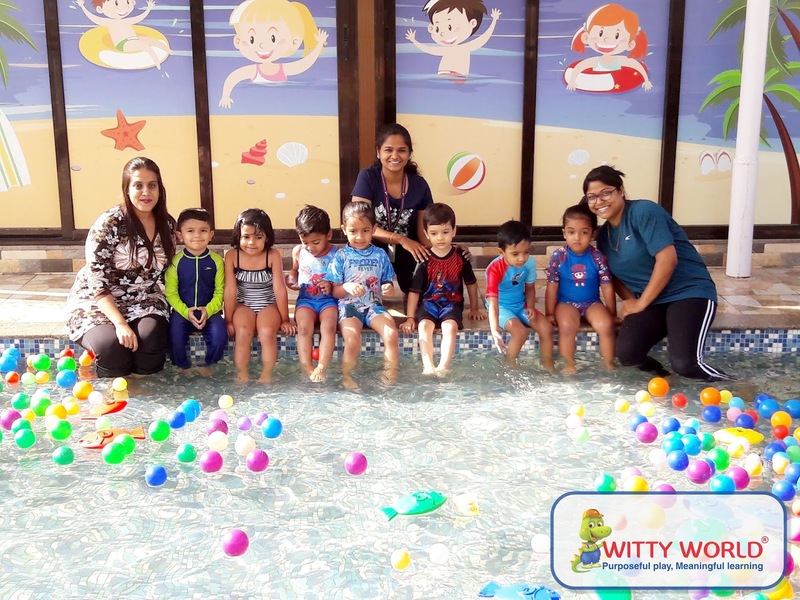 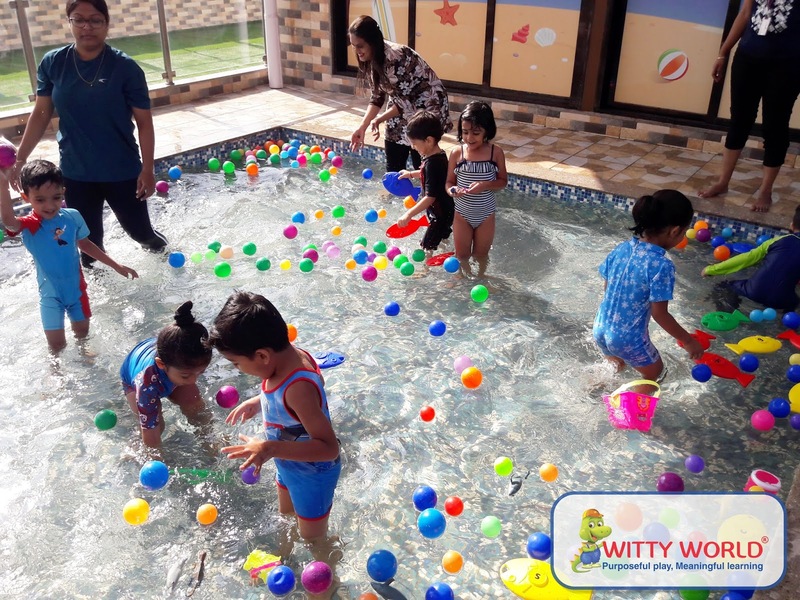 Water play provides a lot of open ended opportunities for extended learning.It was the fun filled day for the little Wittians.